When you hear the term “takeover” in business, it’s usually a hostile one. But New Town Bistro & Wine Bar and Chef Nikki Miller-Ka paired up for a friendly and tasty evening takeover. The event, entitled “Southern Summer Supper with Nik Snacks: A Restaurant Takeover hosted by New Town Bistro,” was a single seating held Thursday, June 19th. The title echoes the name of her food blog, “Nik Snacks” (niksnacks.blogspot.com). Guests enjoyed New Town Bistro’s updated décor during the cocktail hour, a five- course dinner of fresh local seasonal dishes, including chilled yellow tomato and creamy avocado cappuccino soups, award-winning white cheddar and chive biscuits, seared beef tenderloin, garlic pancakes, Texas Pete honey butter sauce, succotash, asparagus, and her award- winning strawberry red wine cream cheese brownie with vanilla bean ice cream. New Town Bistro has been a Winston-Salem farm-to-fork favorite restaurant for 20 years. Owner Kyle Agha welcomed Nikki into his kitchen 8 years ago when she needed to complete a requirement for culinary school. New Town Bistro was the only one out of 20 restaurants she contacted to allow her to come in and do a stage (pronounced “stahj”) for one night. She and Kyle have remained friends over the years. Kyle opened his kitchen once again to Nikki for the “Southern Summer Supper with Nik Snacks” restaurant takeover. “Currently, there are a lot of TV shows such as ‘Restaurant Makeover’ and ‘Restaurant Impossible.’ I think there’s a lot of interest in this new foodie type of makeover,” Kyle explained. Nikki’s cooking style is self-described as “trendy yet inherently Southern,” though she “pushed personal boundaries” with the menu, which was inspired by the fresh flavors of summer. 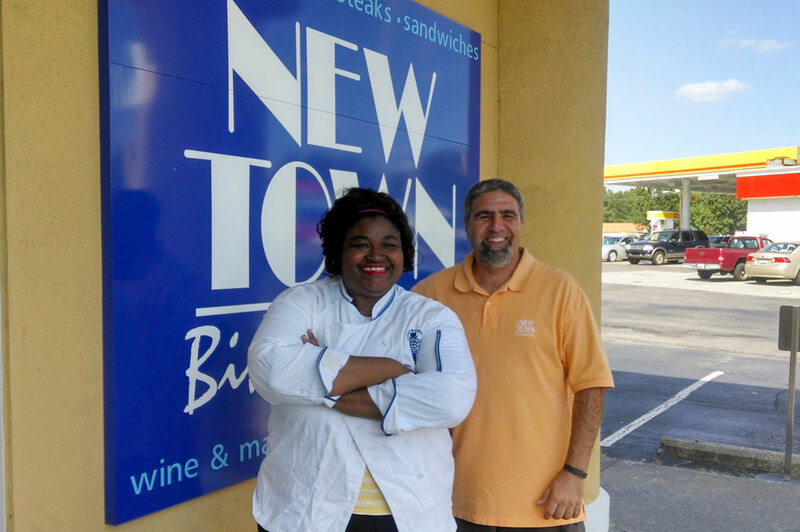 A 2nd Restaurant Takeover at New Town Bistro by Chef Nikki is planned for late July. For more information about the event, contact New Town Bistro at (336) 659-8062. Reservations are strongly suggested. Visit New Town Bistro at 420 U Jonestown Road in the New Town Plaza shopping center, and online at newtownbistro.com. 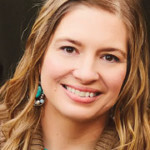 You can also catch Nikki working her culinary magic at the Dixie Classic Farmers Market, where she proves that families can eat locally grown, healthy food and still stay within a budget. During the “$20 Challenge,” Nikki performs a live cooking demonstration in which she prepares a meal for a family of four for only $20, using ingredients she buys that day from vendors at the Dixie Classic Farmers Market. The “$20 Challenge” takes place twice a month through September: July 12th and 26th, August 9th and 23rd, and September 13 and 27th. The market is located at the Dixie Classic Fairgrounds, 421 W. 27th Street, Winston-Salem. For information about the Dixie Classic Fair Farmers Market, or to register for contests or workshops, visit www.dcfairfarmersmarket.com, or call 727-2336.